So gorgeous Sylvie, I LOVE that cute image and your white detailing looks wonderful. This certainly is an adorable stamp! Love your all white background highlighting this great stamp. 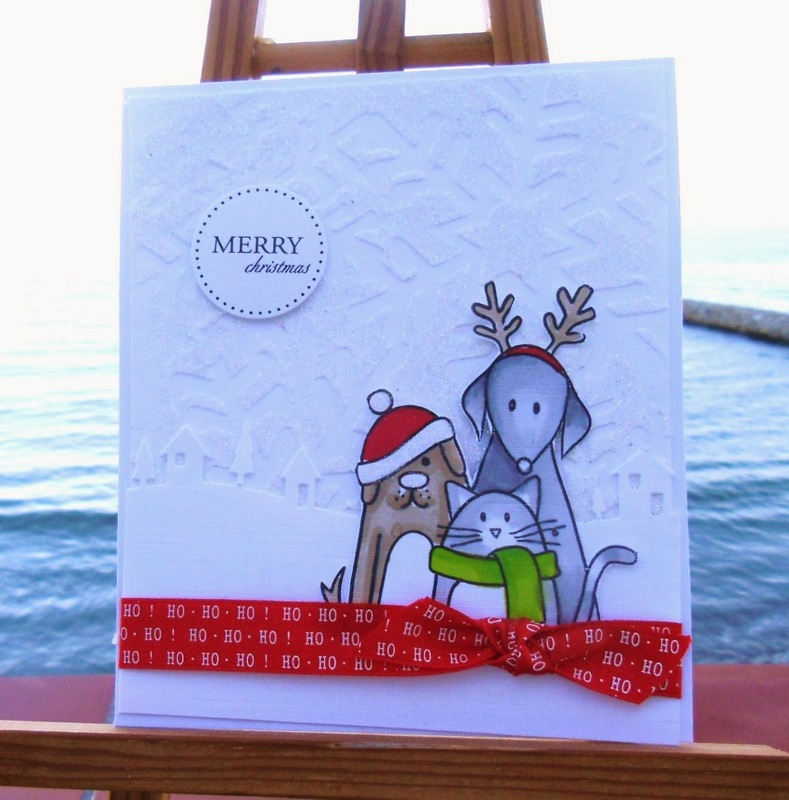 Wow Sylvie - how cute are these 3........ love your embossed background and the houses diecut. I love Debby's work as well (am an avid follower!). You've been busy with your Xmas cards.......hope your postage isn't as expensive as over here (have no idea if you have Royal Mail in Gib?). Your card is absolutely gorgeous and so cute too. Another fabulous card Sylvie. The image is so sweet and I love the white background. This is adorable, Sylvie! Love the bright colors against the white background! AWE your card is very Adorable!!! Love the image you used on it too! !